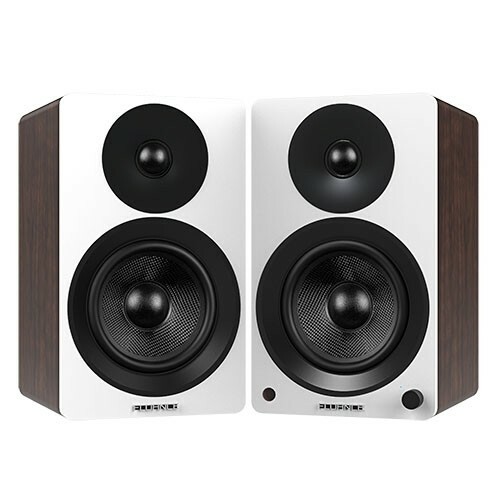 The ultimate in audio versatility, Powered Bookshelf Speakers provide Serious Performance in any home audio setup, from turntables to Bluetooth music streaming. Enjoy all of your music from any source without needing a separate amplifier. Fluance Powered Speakers utilize built-in class-D amplifiers that are designed to maximize sound performance from the glass fiber drivers and wood cabinet. Experience room-filling sound with the compactness and convenience of self-powered speakers. Active and Passive Speakers: What’s the Difference? Fluance powered speakers stream music from your smartphone, tablet or other Bluetooth enabled device with stunning clarity. Also get serious performance from your computer and television by hooking up directly with a variety of connections. Pair your passion with Fluance active speakers for a spacious stereo experience through detailed highs, rich mids and deep lows in a plug and play speaker system. Setting up a hifi turntable with a pair of powered bookshelf speakers is simple and provides exceptional 2.0 stereo sound performance. Connect using RCA with a phono pre-amplifier or bypass the external pre-amp if your turntable has one built in. Fluance Active Speakers paired with a Fluance Turntable is the ultimate system for experiencing pure analog stereo sound. 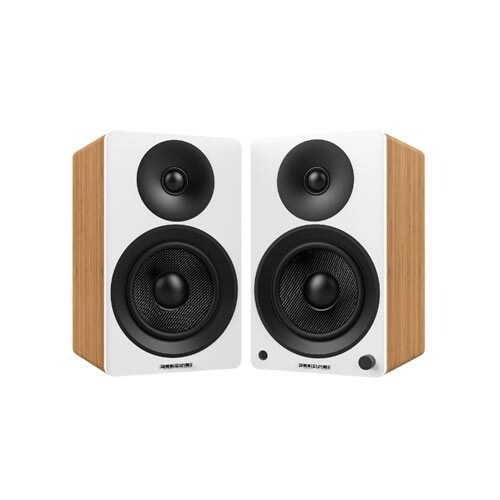 Fluance Powered Bookshelf Speakers feature a class-D amplifier integrated in the right speaker. Simply connect the left speaker to the right speaker with included wiring and play from your preferred audio format. This amplification arrangement eliminates the need for each to be connected to a power source.